GENERAL LUNA, Siargao Island (MindaNews / 13 Feb) – Six people have died in separate landslides in the mining towns of Carrascal in Surigao del Sur and Placer in Surigao del Norte as Typhoon “Basyang” battered Caraga Region Tuesday morning, officials said. Carrascal Mayor Vicente “VJ” Pimentel III told MindaNews over the phone that a landslide in Barangay Panikian killed three people and hurt one while another incident in Barangay Babuyan killed one and injured 10. Several infrastructures have been damaged, according to the mayor. Placer Mayor Michael Patino, meanwhile, said two people died due to a landslide in Barangay Mapaso. 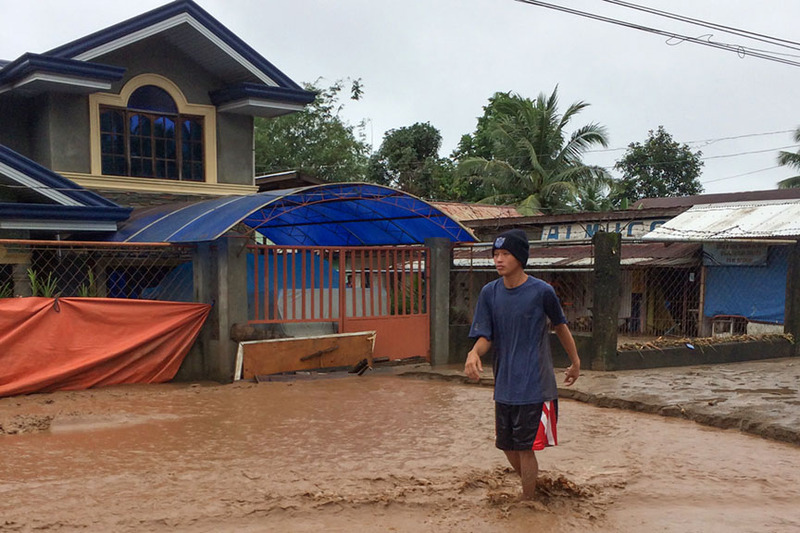 In Surigao City, floods hit different parts of the city and reportedsly wiped out a steel bridge in the mining village of Mat-i. 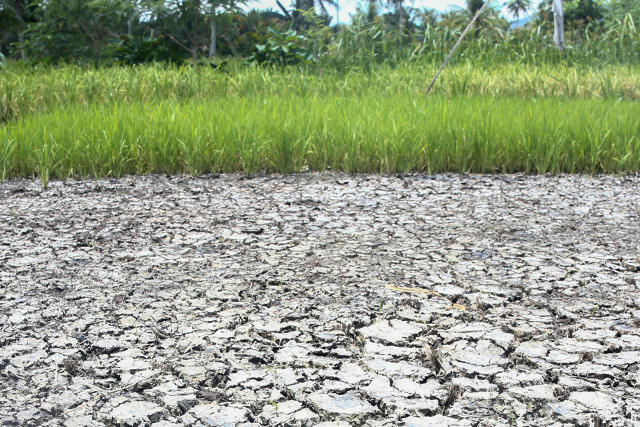 The Surigao River swelled as “Basyang” poured water since Monday, causing floods in several low-lying villages such as portions of Barangay Luna, Washington, Rizal, Mat-i, Serna, Togbongon, and San Juan, according to city information officer Annette Villaces. 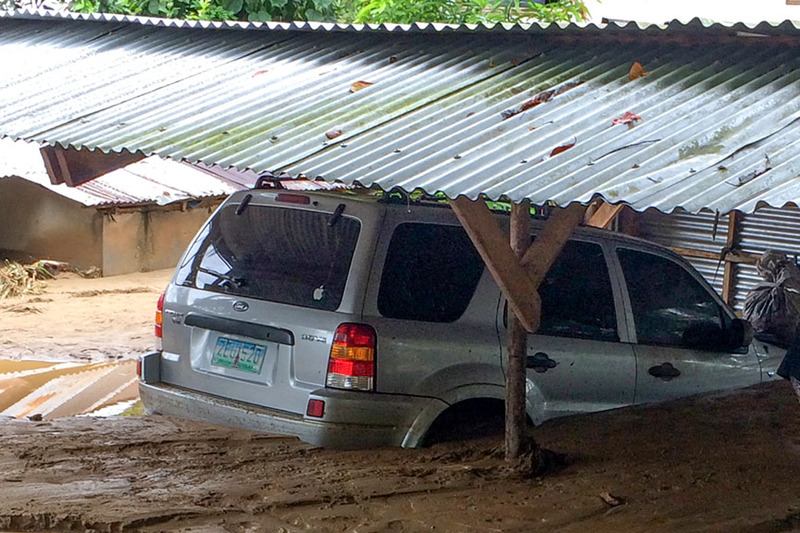 In Alegria town in Surigao del Norte, mud descended in the villages after a landslide. Concerned Alegria resident Pontius Gogo shared to MindaNews his pictures of Barangay Alipao that was affected by the landslide. He said several houses were almost buried by a swath of mud cascading down from the mountain. 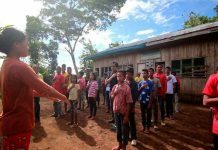 “Small-scale mining has been operating in this barangay since the early 1980s,” Gogo said, adding that miners cut the trees for use in the tunnels without replanting. “They are focused on getting the precious gold and neglecting the danger of destroying nature,” he lamented. Engr. Henry Marapao, district engineer of the Department of Public Works and Highways in Surigao del Norte, said the Magtiaco Bridge along national highway in the municipality of Alegria is impassable this was damaged as water in the river rose. Another bridge in Barangay Bangonay in neighboring Jabonga town in Agusan del Norte is also reportedly not passable. 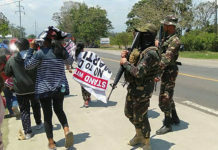 Two power transmission lines of the National Grid Power Corporation (NGCP) in Barangay Quezon in Surigao City were reportedly toppled, causing blackout in parts of the city and in the municipalities of San Francisco and Malimono in Surigao del Norte.